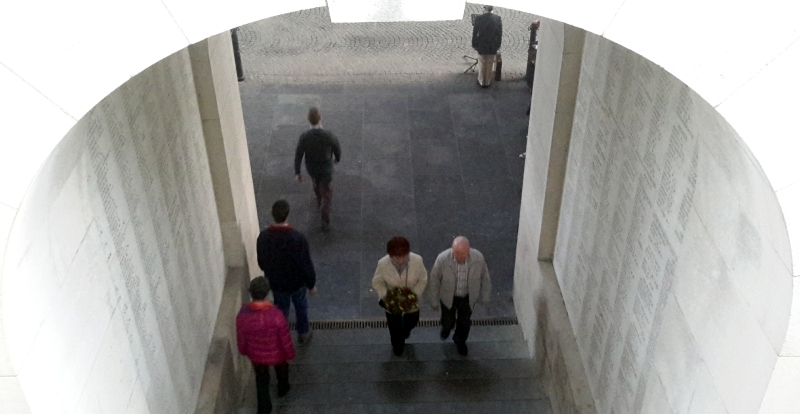 Poignant moment as Mavis Williams and Peter Metcalfe climb the steps to lay the Flintshire War Memorials wreath at last night’s Menin Gate Ceremony. What the photograph doesn’t show are the hundreds of people, the heavenly choir and of course the famous buglers of Ypres from the town’s Fire Service who perform this ceremony at 8.00pm every night. A moving and memorable end to our day in Flanders.